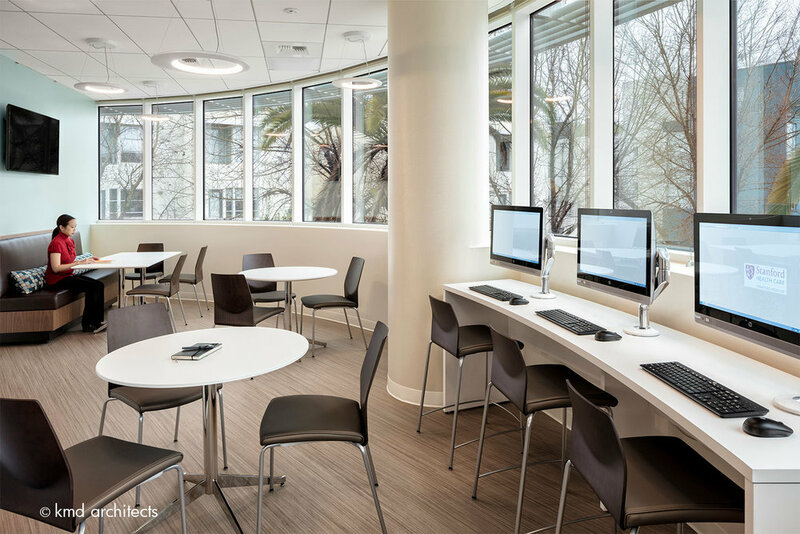 EMERYVILLE, CALIFORNIA This is Stanford Health Care's first outpatient facility in the East Bay. It is intended as a one-stop destination for health care needs with state-of-the art medical care and services. The neutral color palette is complemented with locally curated artwork. 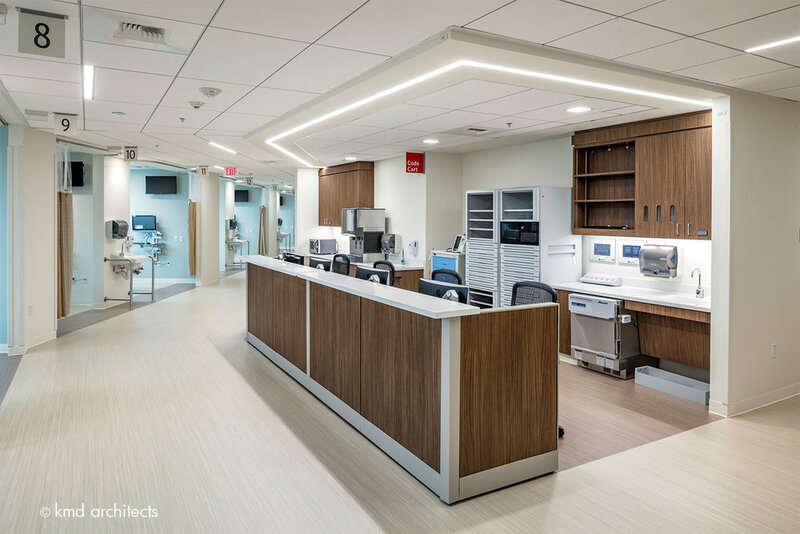 As part of a collaborative design-build team, KMD repurposed core and shell space (originally conceived for research laboratories) into an ambulatory care center for Stanford Health Care and its Health Care Alliance practices. 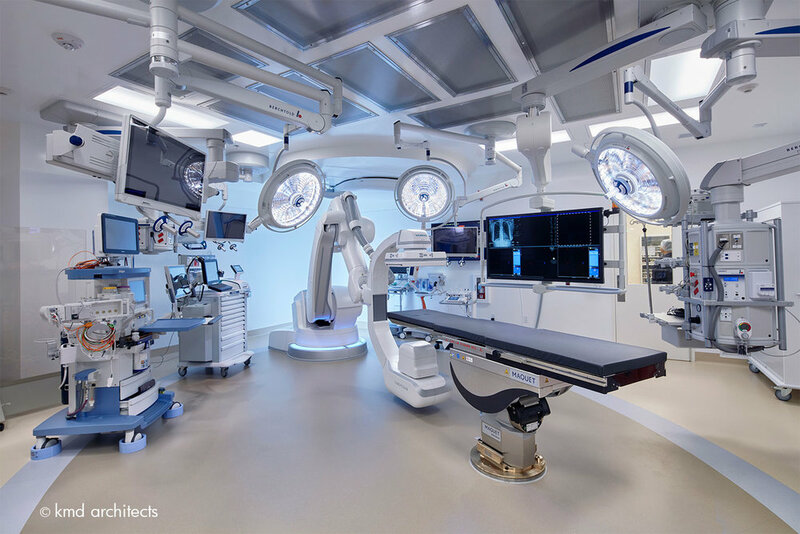 This facility houses a number of specialty care services, including Neurology and Non-Invasive Cardiopulmonary Neuro Diagnostics (CPNS), as well as an entire level for Outpatient Surgical and Advanced Imaging Suites. 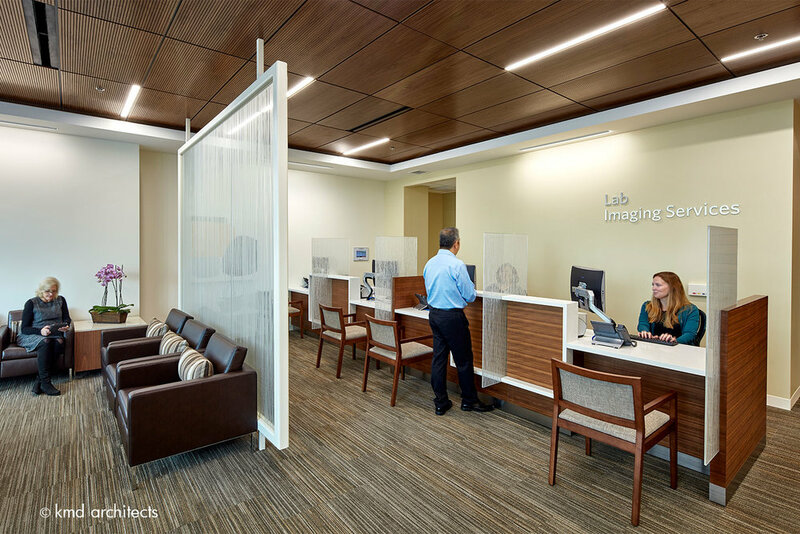 Features a six OR suite including a hybrid OR and full service advanced imaging services to support two floors of exam rooms. 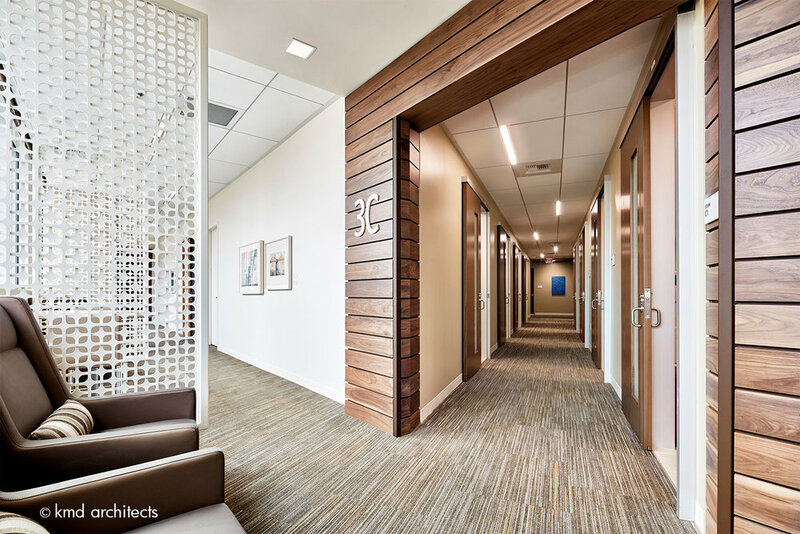 Clinical floors follow an organization based on co-locating all providers in a central team work room for maximum collaboration.